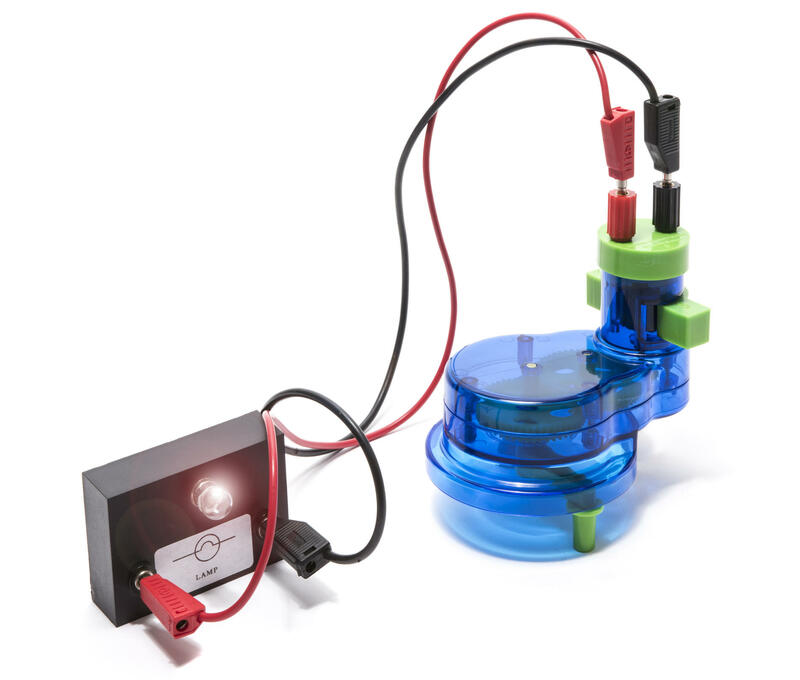 A simple way of teaching children how to generate electricity. Our lightweight yet sturdy 1-3V handheld generator is great for demonstrating the conversion of mechanical energy into electrical energy. 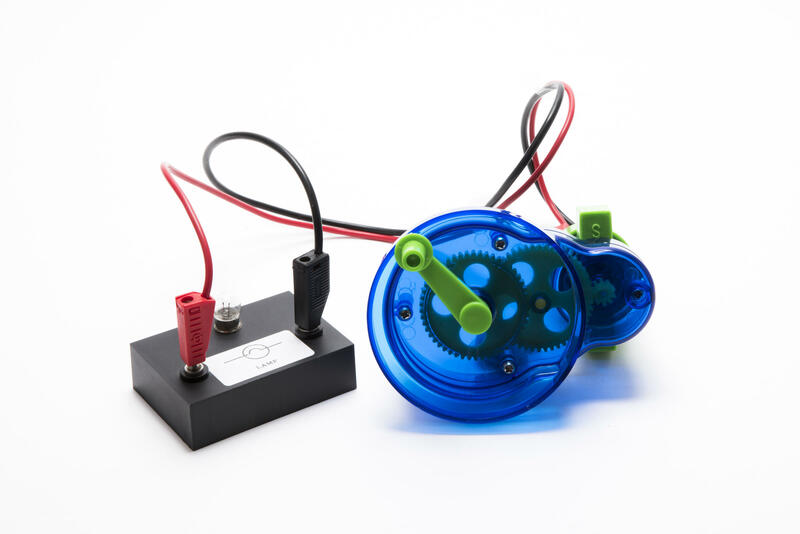 Simply turning the handle generates electricity and changing the direction when turning changes the direction of current flow. 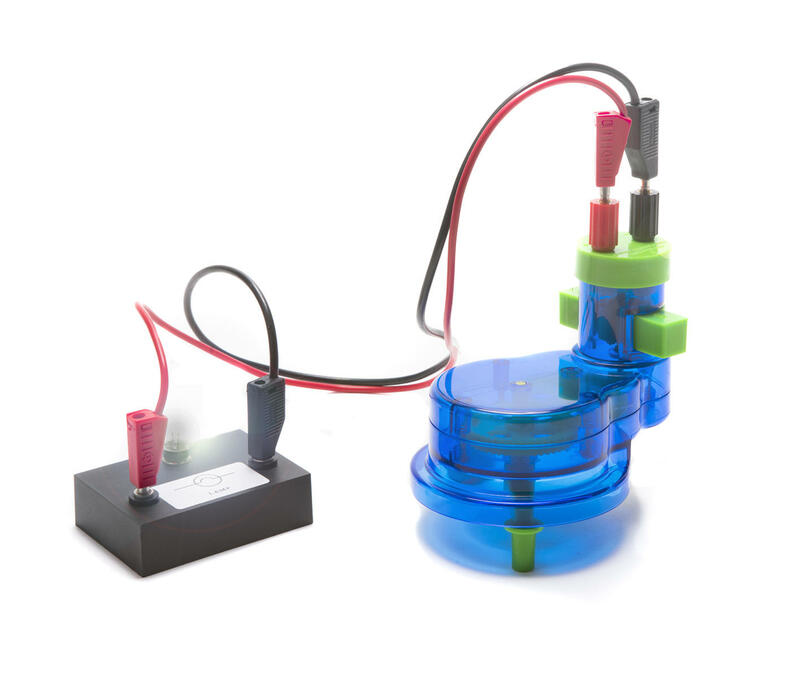 Ideal to use in experiments that explain the mechanism of generating power in an easy and fun way. The clear casing allows the mechanism to be seen while in use. The dual colour visible LED demonstrates the direction of current when turning the handle and also the reversible magnet on the generator lets you reverse the polarity. Hand Generator supplied with our without leads. Please select your option below.